I thought that since yesterday I brought you a post on blazers, today I would deliver graphic tees to wear with them. 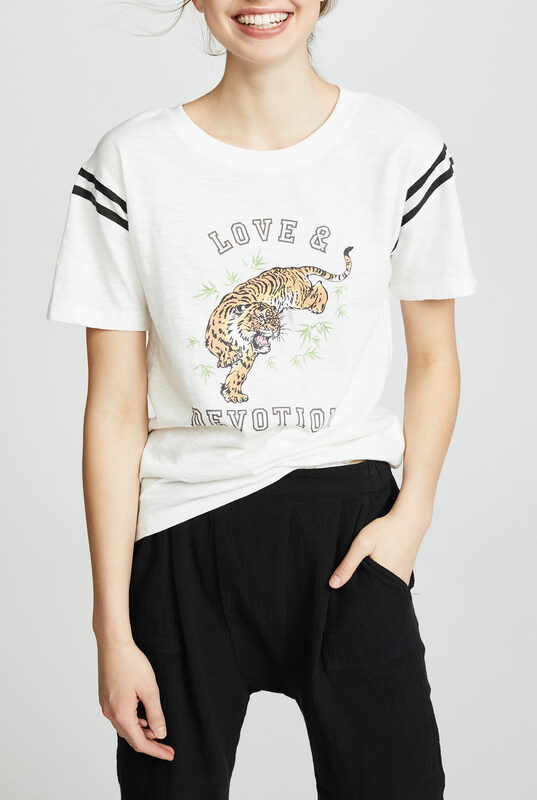 Some of these are pricier than t-shirts really should be, but I’m willing to pay a little more for a piece that gets it exactly right, as I feel this one does: I love the tiger and the football stripes. A lovely sentiment on a nice, slouchy tee. The birds here are sweet. I just really like this color combination. The flying foot is just such a good graphic, and who cares if you’ve never been to St. Barth’s? 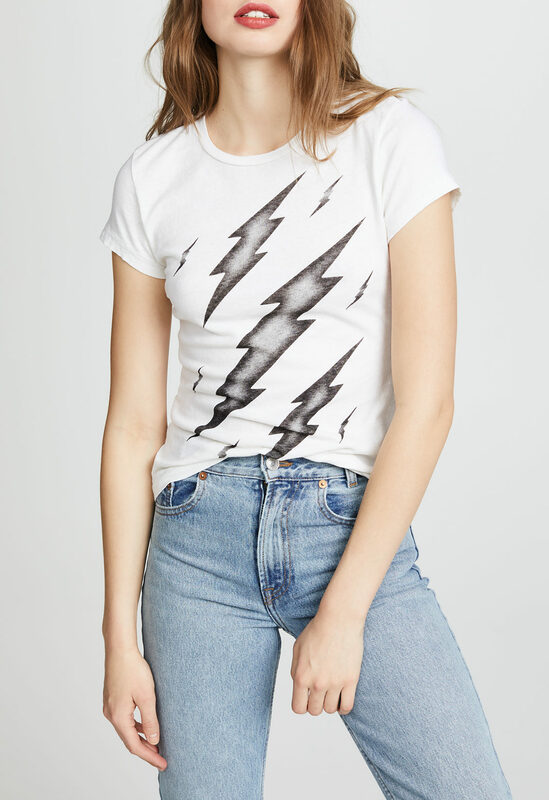 These Bowie-esque lightning bolts are just cool. Current-Elliott cuts a very flattering tee, and this one is nicely tough. 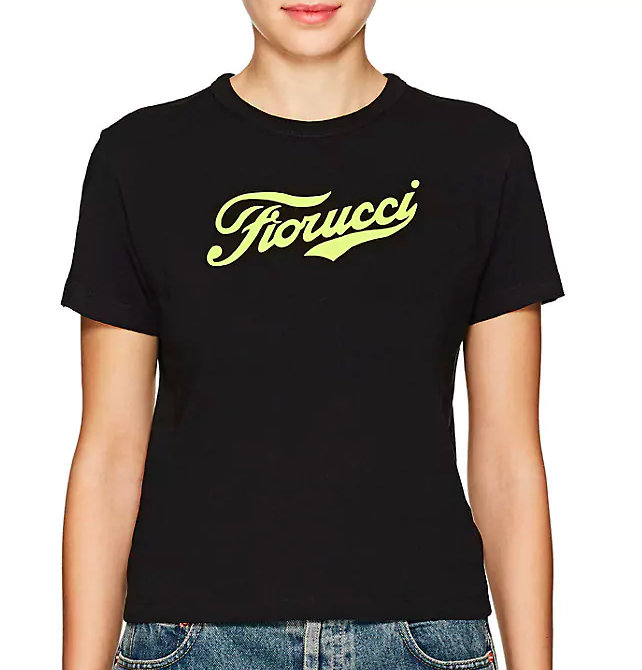 You can’t beat a classic Fiorucci logo. A pair of lips is pretty irresistible. I just like the blue and black here. This is kind of hippie-ish in an appealing way. 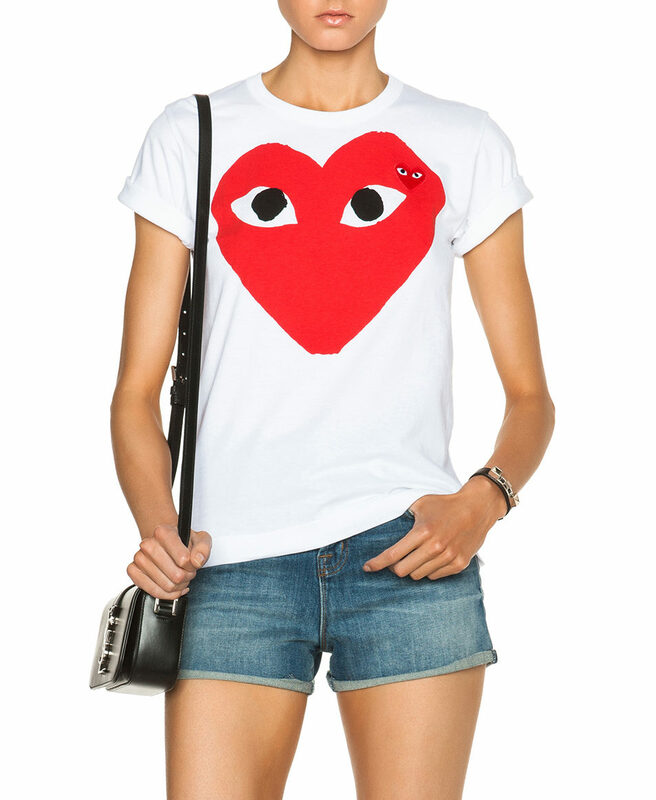 And of course I couldn’t not include the Comme des Garcons PLAY heart logo. Mickey is a solid standby. This tee is by a company called Madeworn that manufactures fake vintage band T-shirts and I never show them cause they’re too pricey and it’s fun to look for authentic band/concert tees in thrift stores, but this Ramones tee is pretty good. This is just sort of dear. 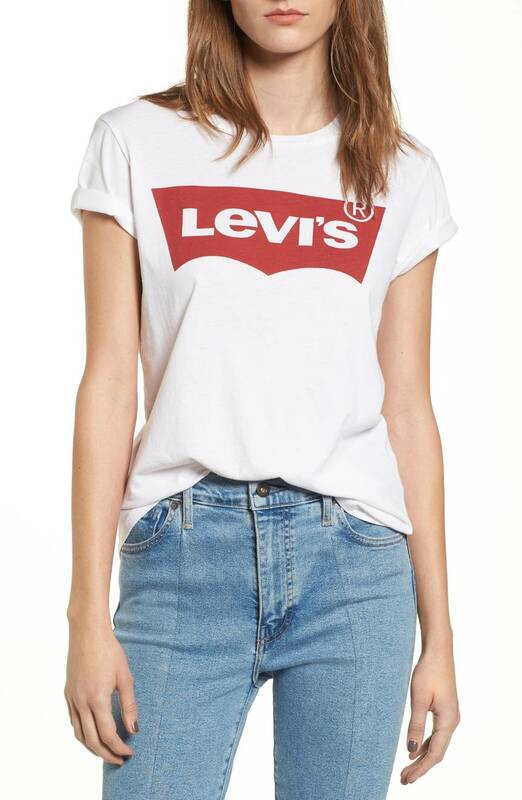 And finally: I’m loving this old-school Levi’s logo. Did you miss my post last week on basic black pieces for under $100? THIS is your most stellar collection. all exactly what I’ve been looking for. THIS is your most stellar collection. all exactly what I've been looking for. I don’t shop at Forever 21 (except for fishnets)but they have a cute selection of vintage type Ts. 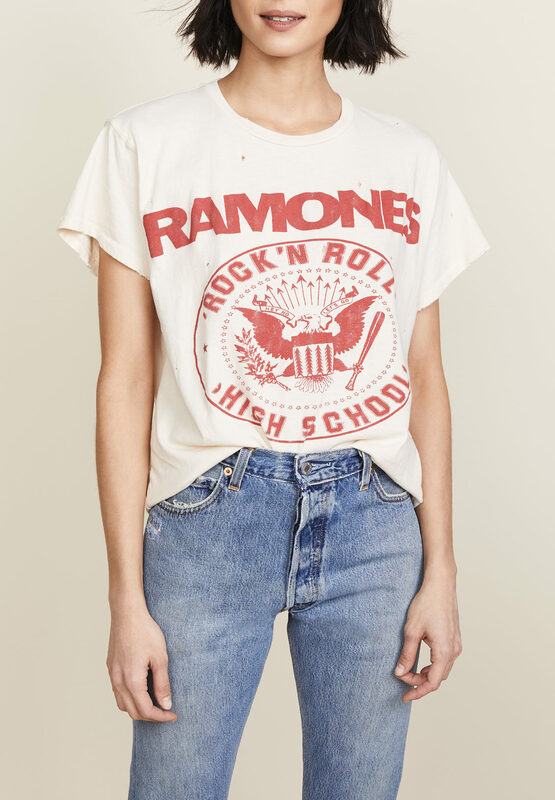 Love the Ramones T. I don't shop at Forever 21 (except for fishnets)but they have a cute selection of vintage type Ts. Can I “up” the challenge here? 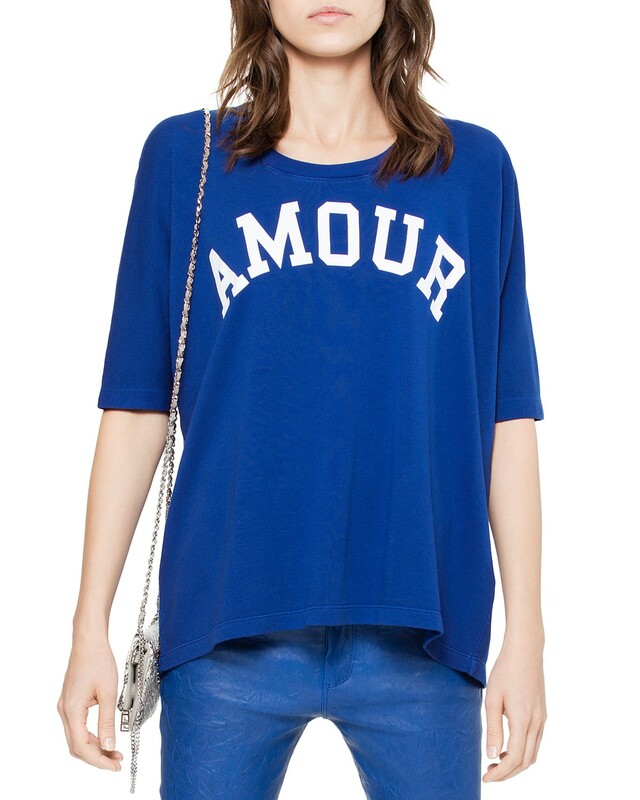 I adore a graphic tee and am always on the hunt but here’s the problem….I need long sleeve tees for the colder weather. 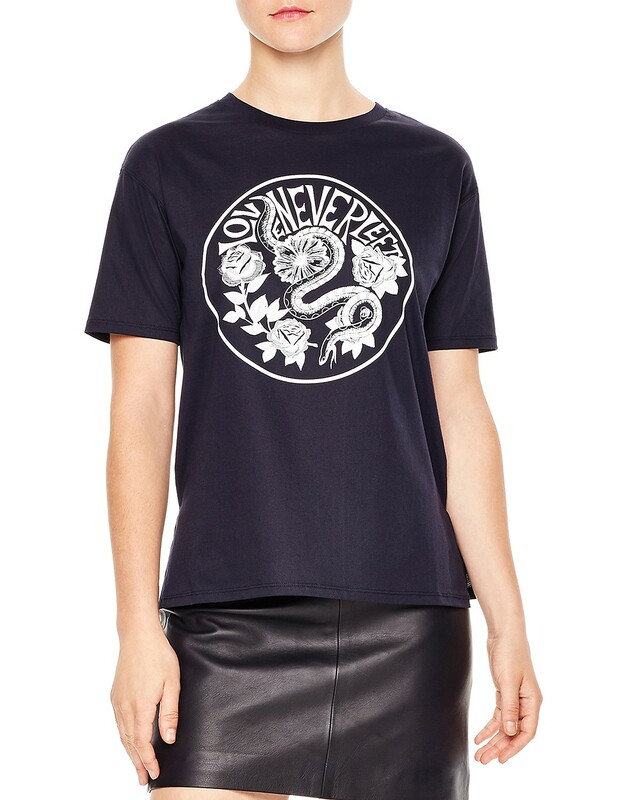 Pretty much the ONLY long sleeve graphic tees I can ever find are 1) stripes (cool but I’d like some variety) or 2) Proenza Schouler (also super cool but far too pricey). Up for that challenge? I’d love to see what you could find. Can I "up" the challenge here? I adore a graphic tee and am always on the hunt but here's the problem....I need long sleeve tees for the colder weather. 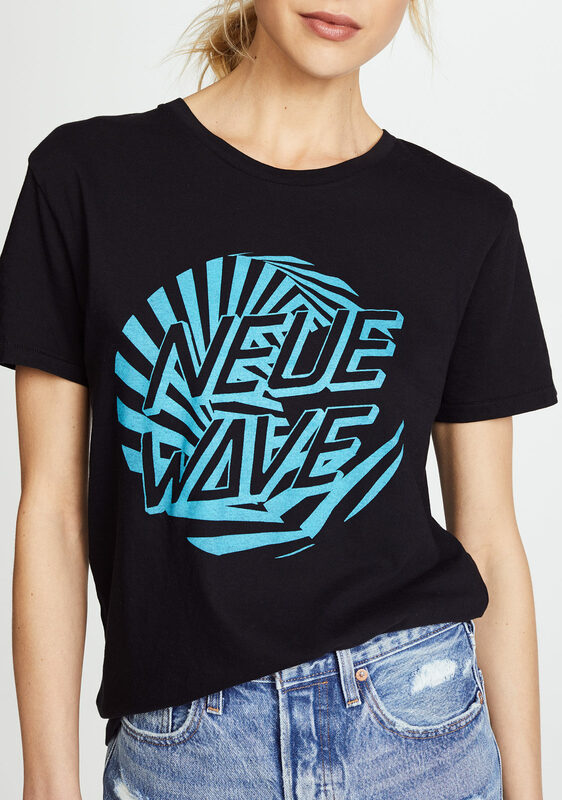 Pretty much the ONLY long sleeve graphic tees I can ever find are 1) stripes (cool but I'd like some variety) or 2) Proenza Schouler (also super cool but far too pricey). Up for that challenge? I'd love to see what you could find. Yes! And I would add: V-necks! I cannot be the only woman alive who turns into Chunky McUniboob in a crew. 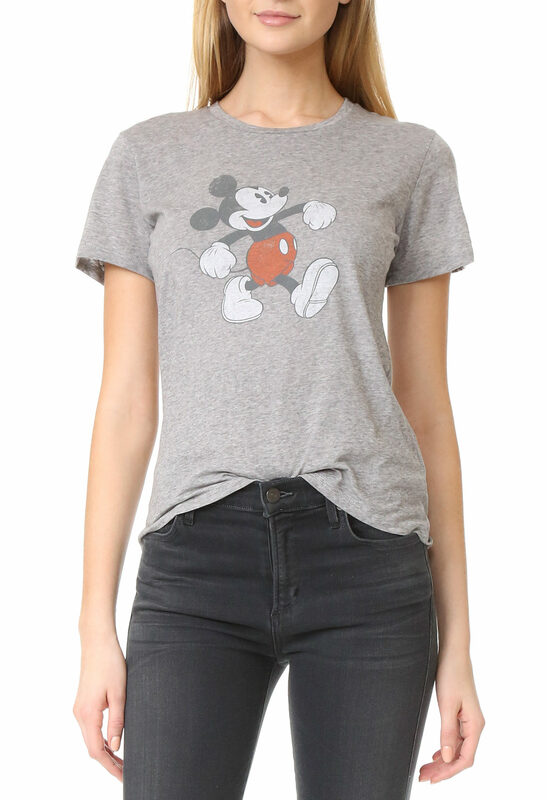 Threadless.com offers a lot of their designs on a women’s long sleeve raglan and a basic long sleeve scoopneck. 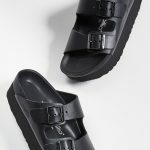 The fast fashion aspect might be a turnoff, but Asos can be a good source for such things. lots going on my wish list! Thank you!!! There are some pretty outstanding selections here... Love & Devotion the birds one lightening bolts lots going on my wish list! Thank you!!! Love these! 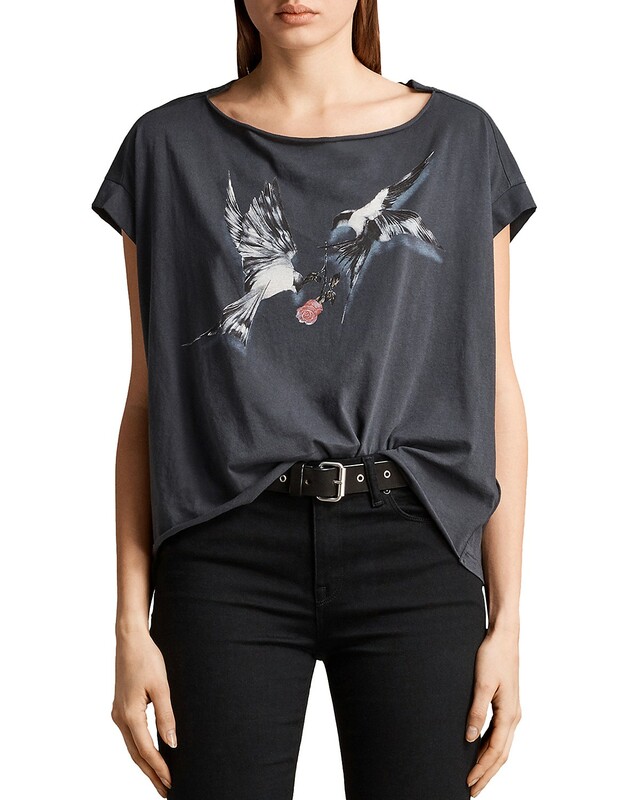 Topshop makes some cool ones, too…I bought one that was a reproduction of a Led Zeppelin concert T from spring 1977 at the Forum in Inglewood….made for millennials to wear ironically…except I had actually BEEN to that concert, so I felt I had the right to wear it, since I didn’t get a tee the first time around! Love these! 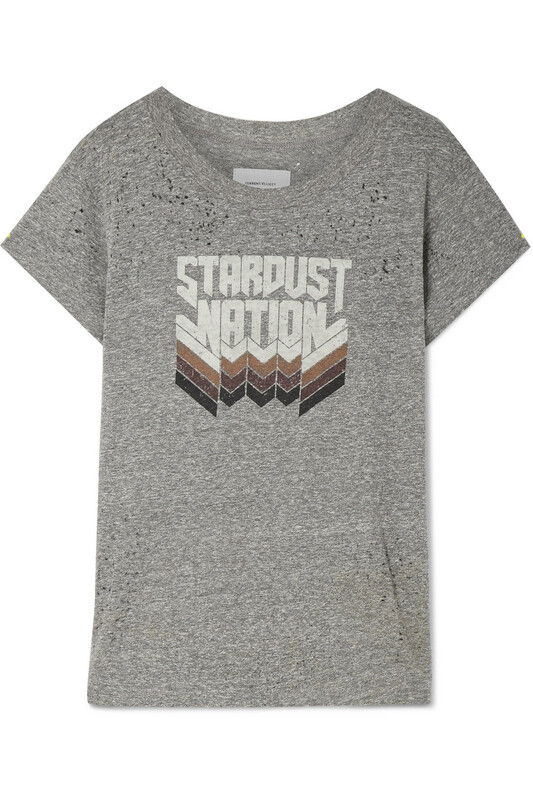 Topshop makes some cool ones, too...I bought one that was a reproduction of a Led Zeppelin concert T from spring 1977 at the Forum in Inglewood....made for millennials to wear ironically...except I had actually BEEN to that concert, so I felt I had the right to wear it, since I didn't get a tee the first time around! 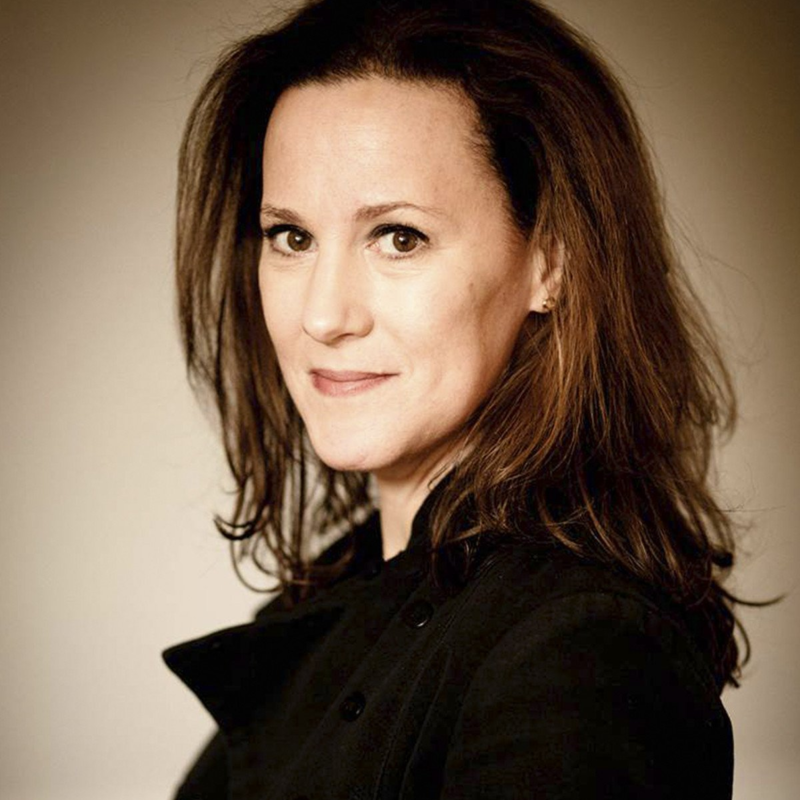 Now that’s COOL, Mary Alice! 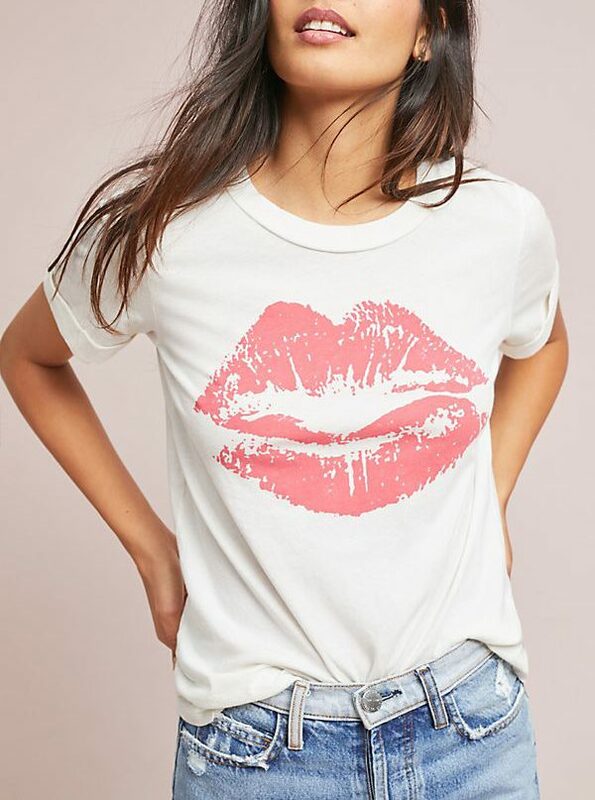 I love a good graphic tee. I admit, however, that I buy mine from UNIQLO for the most part, at a whopping price of $15.00. Basquiat prints, Moomintrolls, and an interior designer whose name I forget. Of course, I have also splurged on a KENZO tiger, and a SEA drawing of a sailor, but UNIQLO is my standard source. Try their SPRZ line. Oh, and Kim, please feel free to add one of your links here if you want. xox. I bought a Keith Haring for UNIQLO and it’s so cute! 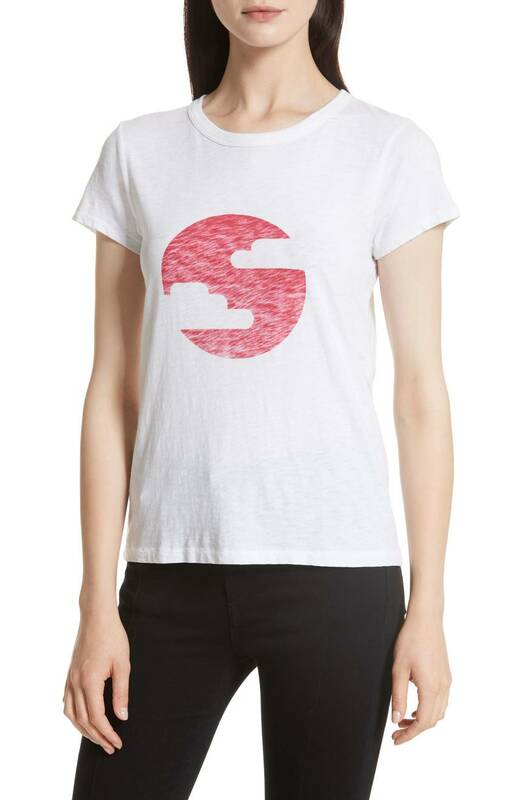 Whenever we go home to Chicago, my daughter insists on stopping at UNIQLO to see what graphic tees they have, and usually picks up a few. I have a Warhol while she just goes for the pattern itself. I have that Madeworn Tee. While it was spendy, I enjoy the heck out of it. I wear it with an oversized, cashmere hoodie. I love graphic tees, but am I alone in hating the fake vintage concert tees? Especially on someone too young to have attended the actual show? When it looks so generic as opposed to a real concert tee, I just can’t. I’m still regretting getting rid of just about all my baseball style concert tees from the 80s-90s when in my mid twenties because I thought “when will I ever wear these again?” Luckily I kept a few, including my Prince tee from the Purple Rain tour. Ran through boxes in my garage until I found it and my daughter wore it to school after Prince died. 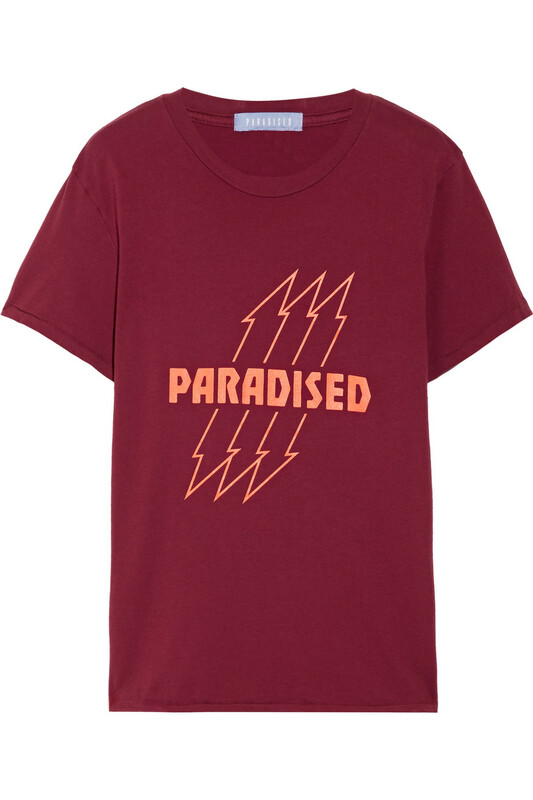 I love graphic tees, but am I alone in hating the fake vintage concert tees? Especially on someone too young to have attended the actual show? When it looks so generic as opposed to a real concert tee, I just can't. I'm still regretting getting rid of just about all my baseball style concert tees from the 80s-90s when in my mid twenties because I thought "when will I ever wear these again?" Luckily I kept a few, including my Prince tee from the Purple Rain tour. Ran through boxes in my garage until I found it and my daughter wore it to school after Prince died. Pam, you are awesome. I am with you in your ‘get off my lawn’ approach to fake concert Ts. 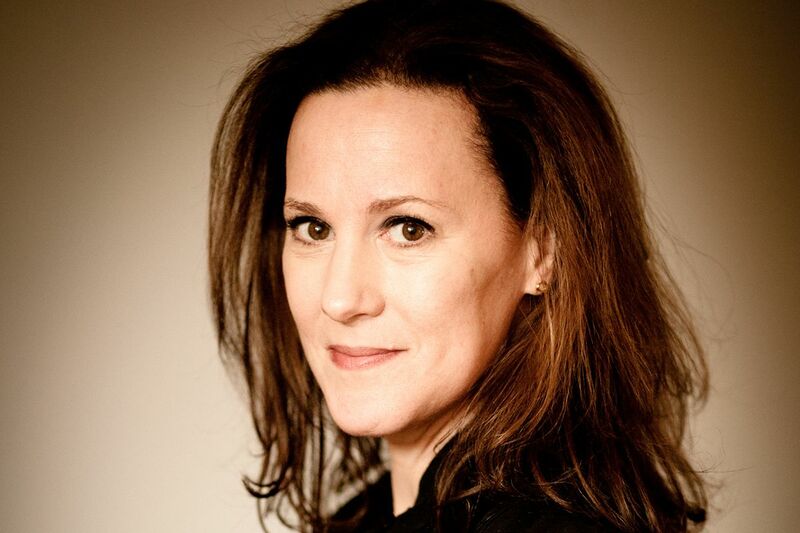 Pam, you are awesome. I am with you in your 'get off my lawn' approach to fake concert Ts. Joining the “get off my lawn” repro vintage band shirt hater brigade. Joining the "get off my lawn" repro vintage band shirt hater brigade. BONUS JOY: A lot of the Youth of Today are CLUELESS about their own fake vintage sartorial choices. My daughter reported telling a girl at camp, "I love your Aladdin Sane shirt!" and the girl sneered at her, "Um, this is DAVID BOWIE?" I have MORE WHISKEY and DON’T LET THE BASTARDS GRIND YOU DOWN. They are my “Monday” shirts under blazers. I have to plug my favorite Tshirt source: Print Liberation. Screened in Philly, super graphic type options, and some GREAT political picks. https://printliberation.com/ I have MORE WHISKEY and DON'T LET THE BASTARDS GRIND YOU DOWN. They are my "Monday" shirts under blazers. Most of these feel too young to me (49yo). A few that could possssibly be okay under a good blazer are the Mickey, the Levi’s, and Comme de Garcons heart. Most of these feel too young to me (49yo). A few that could possssibly be okay under a good blazer are the Mickey, the Levi's, and Comme de Garcons heart. I love the look of all of these, but the prices are offensive. There is no way the price could be justified by the quality or the price of manufacture. The only reason a t-shirt over $100 exists is separate the 1% from the other 99. That said, your selection is inspiring. I will seek out the vintage versions at my favorite thrift store. I love the look of all of these, but the prices are offensive. There is no way the price could be justified by the quality or the price of manufacture. The only reason a t-shirt over $100 exists is separate the 1% from the other 99. That said, your selection is inspiring. I will seek out the vintage versions at my favorite thrift store. Also the Everlane “100% Human” tees are great, and $5 of each purchase goes to ACLU/Equalty Now/Human Rights Campaign. I wish I could go back in time to tell teenage, concert-going me to buy 2 t-shrits, not one, so I’d have one to wear under blazers in my dotage. Sadly, it’d have to be a few sizes bigger! I wish I could go back in time to tell teenage, concert-going me to buy 2 t-shrits, not one, so I'd have one to wear under blazers in my dotage. Sadly, it'd have to be a few sizes bigger! I read this and thought I should dig out my old concert tee shirts. Then I thought I should check and see if they were worth anything. Holy cow! 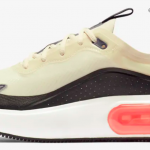 I only made it through a few, and found them on ebay for $150-$900.